David Wanetick, Managing Director at IncreMental Advantage, LLC, a valuation firm with expertise in valuing intangible assets and emerging technologies, based in Princeton, NJ, opines at The Business Insider: Valuing a patent is complex and imperfect. 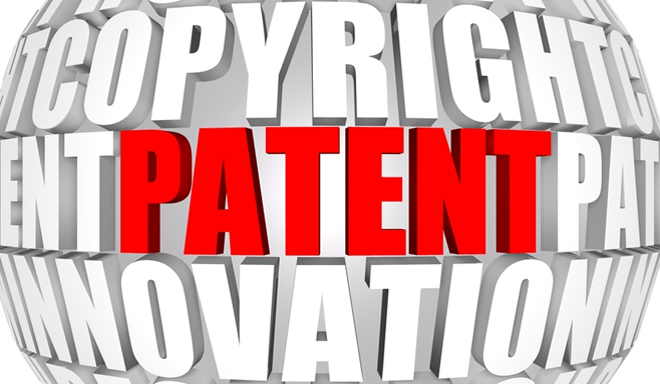 Below we’ll go into some detail surrounding the methods used to determine a patent’s value. Each is applied under different circumstances, and impacted by many factors. Some of these factors can be measured and quantified, while others are intangible and require expert judgment in order to attain a reasonably accurate estimation of value. The Cost Method – Determines the present value of the investments made to produce the patent. Another component of applying the cost method consists of determining the design-around costs for a potential patent buyer. If the anticipated design-around costs exceed the cost to the inventor of producing the patented invention, there will probably be a transaction. The Market Method – Under this method, the valuation analyst compares the prices paid for similarly situated patents. However, since there is relatively little information available relative to patent sales, most market analysis is performed using licensing terms that similarly situated patents were able to secure, in lieu of patent sales proceeds. Then, the analyst makes adjustments to the (weighted) average consideration that the patentee receives, based on issues such as stage of technological development, rights extended (exclusive vs. non-exclusive, extent of geographical coverage, and extent of field of use licensing), other consideration received beyond royalties (upfront payments and equity investments), and remaining patent life. – Switching Costs – For example, much of the value of a set-top cable box is a function of the high switching costs. Customers continue to pay their monthly fees to their existing cable companies partly because they want to avoid the nuisance associated with removing and returning their set top boxes. – Network Effects – Network effects hold that some products become more valuable when more people use them. For example, network effects account for tremendous value inherent in companies such as Twitter, Facebook, and LinkedIn. – Economies of Scale – Businesses that are able to operate their factories at huge levels of production can achieve low costs per unit. The significant competitive advantage delivered by producing at high volumes is separate from the value of any associated patents. Probability Adjusted Income Method – This method is a permutation of the Income Method. The difference here is that the income projections are prepared several times to reflect scenarios such as Best Case, Expected Case, and Worst Case scenarios. The final value is computed by assigning a probability to each scenario occurring and then adding the product of each of these probability-adjusted scenarios. Monte Carlo Method – The Monte Carlo Analysis is the Income Method (or Probability Adjusted Income Method) on steroids. Instead of taking into account a few scenarios, Monte Carlo entails calculating thousands of scenarios and then assessing where value is most likely to lie based upon where the conclusions of value cluster. Real Options Method – This method is designed to quantify the additional value that is captured when undertaking a research project. In many cases, pursuing a given research project that revolves around one material provides an opportunity to pursue additional research projects that revolves around the same material. Sometimes this value presents itself in the form of learning what does not work. Also, there is always the possibility that researchers will discover something of tremendous value serendipitously. For example, pharma companies were pursuing heart disease remedies when they serendipitously discovered Rogaine and Viagra. Binomial Lattices – In instances when the payback from an early technology will only occur in the distant future and when calculating a NPV for such technical contribution is nearly impossible, it is better to view the technology as an option rather than as an instrument that will yield a NPV. By using sophisticated mathematics, the analyst can calculate the option value of an emerging technology.